Are you ready for some soup and sandwiches? 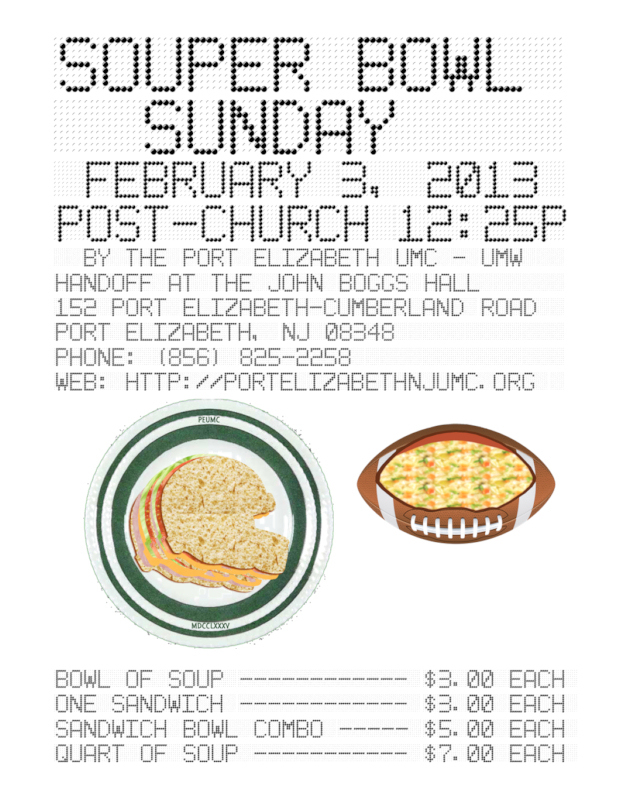 Join us, Sunday February 3, 2013 after church and before the big game. Brought to you by the United Methodist Women of Port Elizabeth United Methodist Church. This is a UMW Fundraiser for Missions. This entry was posted in Events, United Methodist Women on January 24, 2013 by portelizabethnjumc.